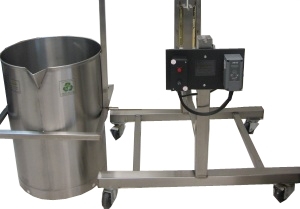 Soap Making Equipment Pot Tipper Soap Equipment is Heated Melting Tank with Mixer for soap making. 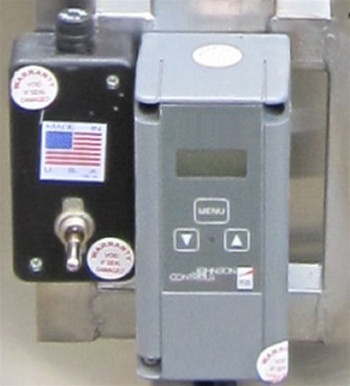 Shaft: 1/2' dia x 24-30" L -customized for your melter at no additional charge! Propellor: (1) 5.5" dia, 1-2 Additional Blades depending on size. 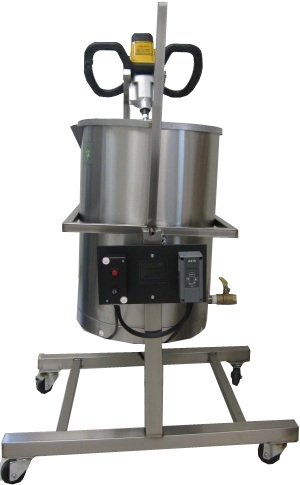 Quickly Heat, Mix & Pour Your Soaps with this Heated, Digitally Controlled 26 Gallon Stainless Steel Tank with Mixer and Mixing Bracket built into it. Save $ by not having to buy an extra melter. Comes with built in bracket for your Mixer-Blender! Save a Step in the Soap Making Process since you do not have to transfer your heated oils. Just do everything in your Heated Soap Pot Tipper Kettle Tank. 26 Gallon Stainless Steel Tanks—Heavy duty, all welded.